The movie adaptation of the classic children’s novels Scary Stories to Tell in the Dark is quickly moving along with production. 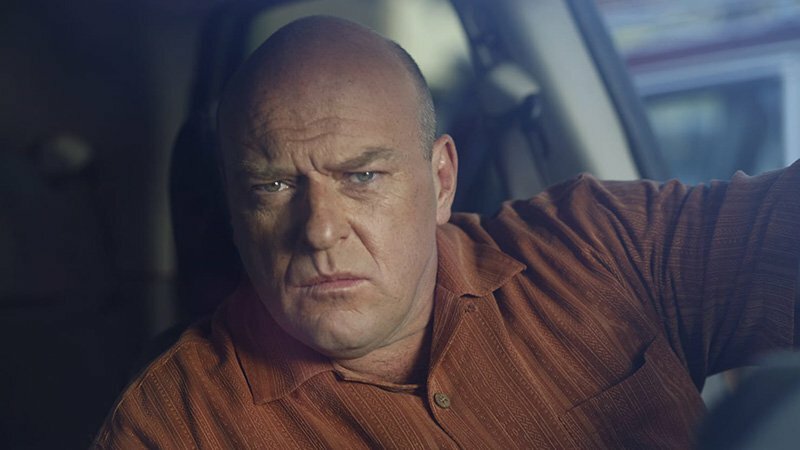 CBS Films and eOne have continued rounding out the cast for the film, including the new additions of Dean Norris (Breaking Bad), Gil Bellows (Patriot, Jett) and Lorraine Toussaint (Into The Badlands, Selma, Orange Is The New Black). The Scary Stories to Tell in the Dark book series was first published during the 1980s. The film follows a group of young teens who must solve the mystery surrounding the sudden and macabre deaths in their small town. Though Norris has had roles in many hit movies including 1990’s Total Recall and this year’s Beirut, he is more known by audiences for his television work, including Breaking Bad as DEA brother-in-law Hank Schrader, Under the Dome as town councilman “Big” Jim Rennie and Claws as crimelord Clay “Uncle Daddy” Husser. Bellows is best known for his role in The Shawshank Redemption as Tommy Williams and Ally McBeal as Billy Thomas, and was recently seen in the Hulu sci-fi miniseries 11.22.63. Toussant is also quite the TV veteran, having starred in regular roles on the Lifetime drama Any Day Now, the TNT crime drama Saving Grace and the AMC action series Into the Badlands. The movie will be directed by André Øvredal (The Autopsy of Jane Doe, Trollhunter) and is co-written by Daniel and Kevin Hageman along with del Toro, Patrick Melton and Marcus Dunstan. At one point del Torro (The Shape of Water, Trollhunters, Pan’s Labyrinth) was set to direct the film, but recently del Toro decided to only serve as a producer on the project. Scary Stories to Tell in the Dark will also star Zoe Colletti (Annie), Austin Abrams (Brad’s Status, Tragedy Girls), Gabriel Rush (Moonrise Kingdom, The Grand Budapest Hotel), Michael Garza (Wayward Pines, The Hunger Games: Mockingjay – Part 1), Austin Zajur (Fist Fight, Kidding) and Natalie Ganzhorn (Make it Pop, Wet Bum). No official release date has been revealed, but the horror film should be coming to theaters in 2019.